Porsche Classic was tasked by a US collector to not just restore his Carrera GT, but completely reconstruct it according to his personal preferences. 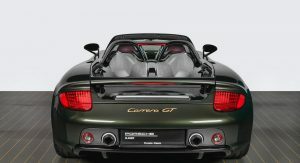 The result is this as-good-as-new Oak Green Carrera GT. 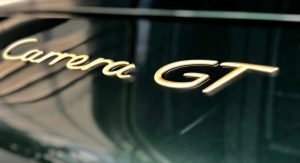 It’s been 12 years since Porsche ceased production of the Carrera GT, and while this might make us feel a bit old, it hardly renders the iconic V10 supercar as a vehicle that needs to be restored. 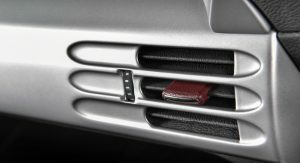 However, Porsche Classic wasn’t going to refuse the project, accepting the custom order and getting to work. The car was completely disassembled into parts which subsequently were individually checked and then refurbished or replaced where necessary. 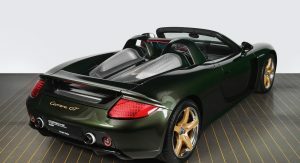 Porsche’s specialists spent 350 hours manually sanding and recoating all the carbon fiber components as the coating on older carbon fiber tends to yellow and fade over time. 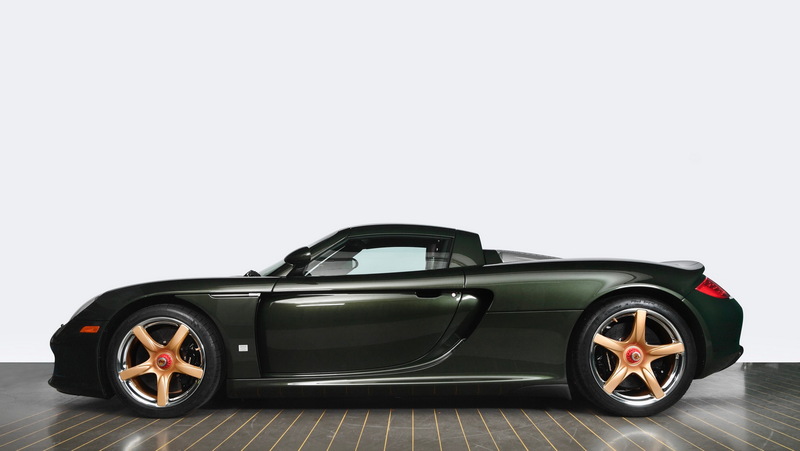 They also gave this Carrera GT a complete refinish in Oak Green Metallic, a color that was not originally available for the V10 supercar. 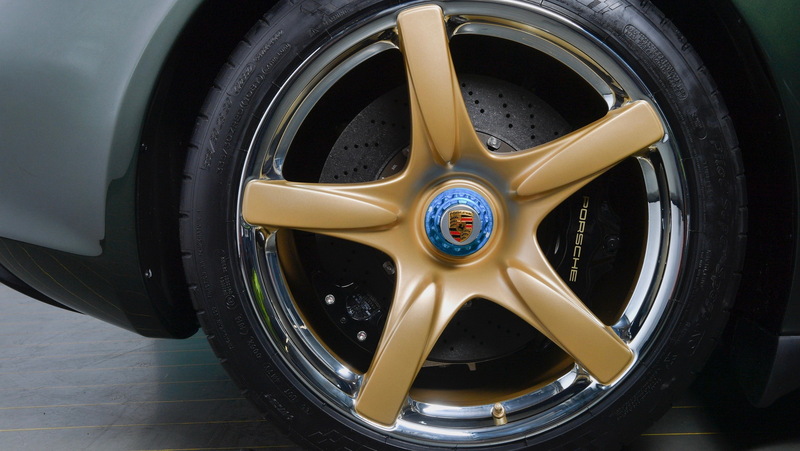 The five-spoke magnesium wheels were also redone, with a center section finished in gold and a “polished” rim ring. 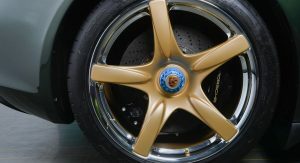 Material experts from Porsche’s R&D center in Weissach said that polishing the rim would dangerously weaken the material, which lead them to an alternative -and never before tested in production- solution: the use of actual silver. They then applied a high-gloss layer on the rim, achieving a chrome-like surface finish, topping it off with a final coating of clear lacquer to protect it from corrosion. 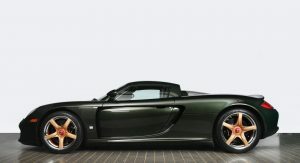 The reborn Carrera GT was presented at the Porsche Experience Center in Atlanta. 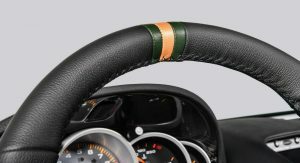 Should have re-trimmed the interior in a different colour too. These cars have not aged well. Every part of the car was the owner’s choice, so he must have wanted that colour. Ahhh, colour blindness strikes again!! Yeah I’m sure about the chrome wheels either. But Americans love their chrome, evidently even on lightweight supercars. Umm,,Americans do not love chrome these days.. I wasn’t a fan of it in the first instance, so it hasn’t grown on me, and I doubt it ever will. 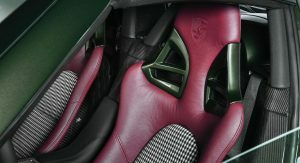 Love the green , the seat color is a strange choice.. Yes, please. I might’ve done black or tan seats, though, even if I don’t hate the red. looks awful. They should have let the Italians do the color work on that car. They made it very dated looking. The green/gold combo is a very 90’s Camry palette that wanted so hard to be upscale but never struck me as “fancy.” With the houndstooth and other pops of vibrant colors, this is not my cup of tea. But y’know, this guy clearly has plenty of F-you money. And doesn’t care what I or any of us think. So good for him. The more close you get to the car, the more rubbish those wheels look. and that purple on the inside, why? Love the exterior pant job though. Beautiful car. Unique choice of colors in general. It came out well overall. Not wild about the color scheme. 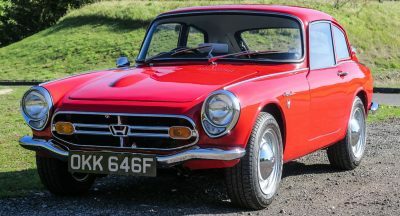 But proof of the beauty / desirability of this car…is that I want it anyway. The oak green body paint can stay. Wheels and interior…nah. 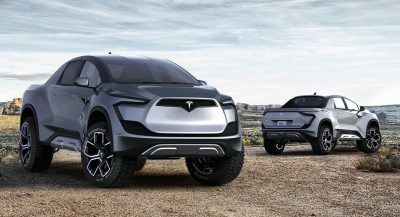 Ugly wheels…ugly seats…other than that it’s a nice Ride!